In this article we look at the best locks for a shed. 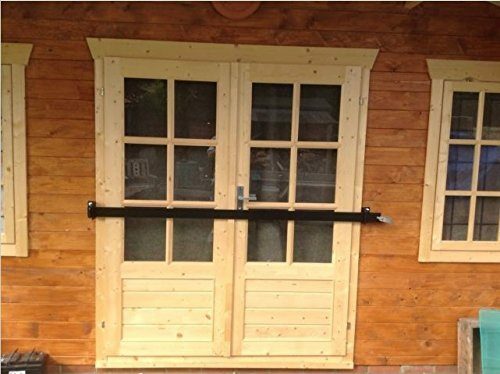 These are inexpensive, and when fitted will deter thieves and burglars from breaking into your shed. Ideally if you can fit these, along with some form of alarm, then you are going to be about as secure as you can be. 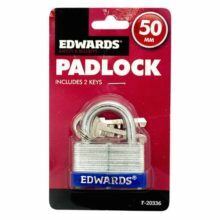 To fit both a padlock and some type of small alarm system will cost around £25-30. I don't think that is a lot to pay for peace of mind, and nice tight security.​ In this article I am going to include a number of locks. It very much depends how much protection you want to have. It will also depend on what type of doors or windows you want to protect. Likewise the type of shed you have may determine what type of locks you can fit. The material your shed is made of is also a factor to consider. No matter what type of shed you own, inside it there will be items of value. ​ In my opinion it is worthwhile spending a nice afternoon making sure that those items stay there. It is also great peace of mind to know your things are safe and secure. For just a tad over £4, this Edwards padlock is a tough little one. The good news is that it has been designed for use outside. Clearly with a shed that is important if you plan on using it to lock a shed door. It comes with a couple of keys.​ This is not a high end padlock, but for £4 it will do a decent job. Just don't expect it to stay rust free. For that you need something made of tougher stuff. I would be ok with using something like this inside to lock up a tool cupboard. 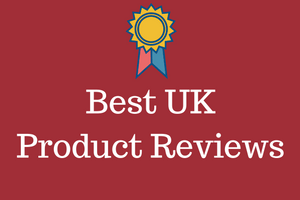 The buyers on Amazon UK give this one mixed reviews.​ Overall they have rated this padlock at 4.3 out of 5 stars, which is not a bad rating to achieve and maintain. You can read those reviews by clicking here. Now I think for an extra £1, that this padlock made by a company called Abuse, is a much better option. Guys like products made from Titalium or any type of hardened steel. That is simply because they are high quality, don't break and last for ages. This padlock is strong, lightweight. made from this aluminium alloy called Titalium and as such it is very durable. They use this material for certain parts of an aeroplane and that is good enough for me. 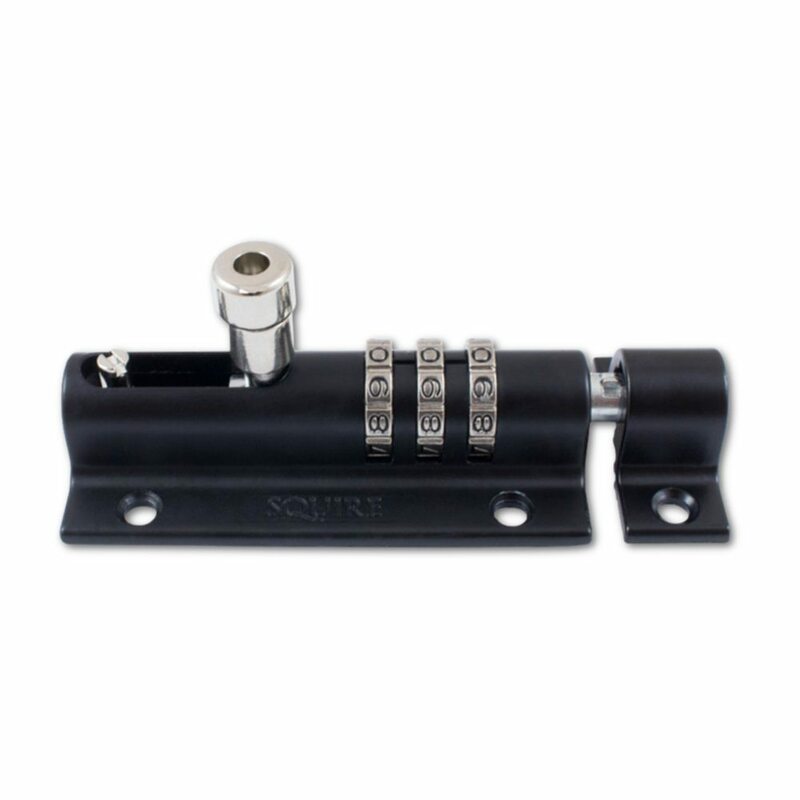 If you want to go all out for the very best type of padlock, then this one from Excell will meet all requirements. This one is anti-rust and is made from the highest quality laminated steel.​ It costs £10, but this is what I use myself to keep my tools safe and secure. 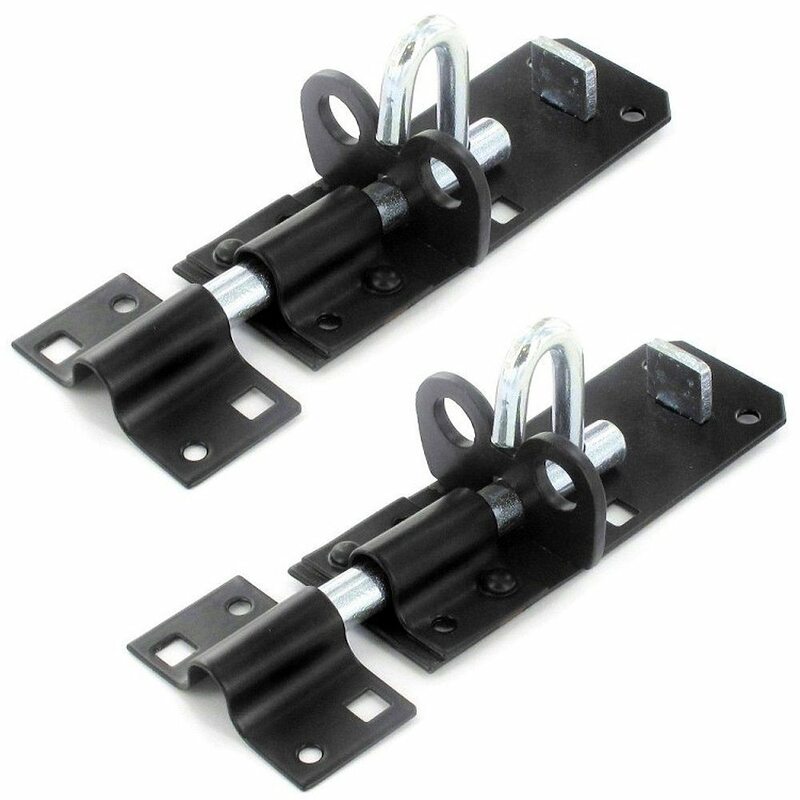 These are used for securing sheds, gates, garages and even shop fronts. That should give you an idea of just how good these padlocks are. Let's face it, a padlock is not something that you buy everyday. In my opinion you should buy the best that you can afford. For me it is this one and it looks great and works like a treat. Buyers at Amazon agree and have rated this accordingly.​ To date any buyer who has left a review, has left only a 5 star review. 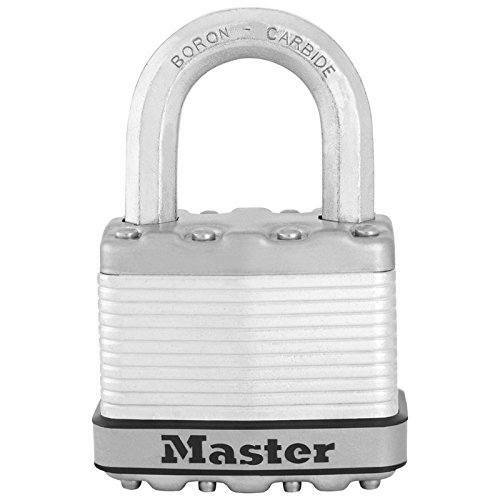 It is a 51 mm lock with an octagonal shackle which offers the most resistance to items such as bolt cutters. If a thief tries getting through this beauty they will really have to work hard. It also has a dual ball bearing locking mechanism which is highly resistant to pulling or prying. You can get these in a black colour or the more traditional steel look. The choice is really a matter of preference. I prefer the black myself as I think they look better at the top and bottom of my shed door. These are industry standard so you will not be disappointed if you get these. Overall buyers at Amazon in the UK rate these at​ 4.3 out of 5 stars. This one gets the highest rating on Amazon of 5 out of 5 stars and costs £13.75 I recently made the change from the normal bolt type shed lock shown above to a combination style lock. The reason I did that was simply down to losing or misplacing keys. Remembering a combination is much easier than trying to find a key. It also stops you from having to worry about a burglar finding your keys as well. All you need to do with this one is remember 3 numbers and even I can manage that. This one is really simple to use and does a very good job. It is a bit more expensive than I would have liked to pay. That said Squire is one of the best known brands for making high quality locks. I guess you get what you pay for. 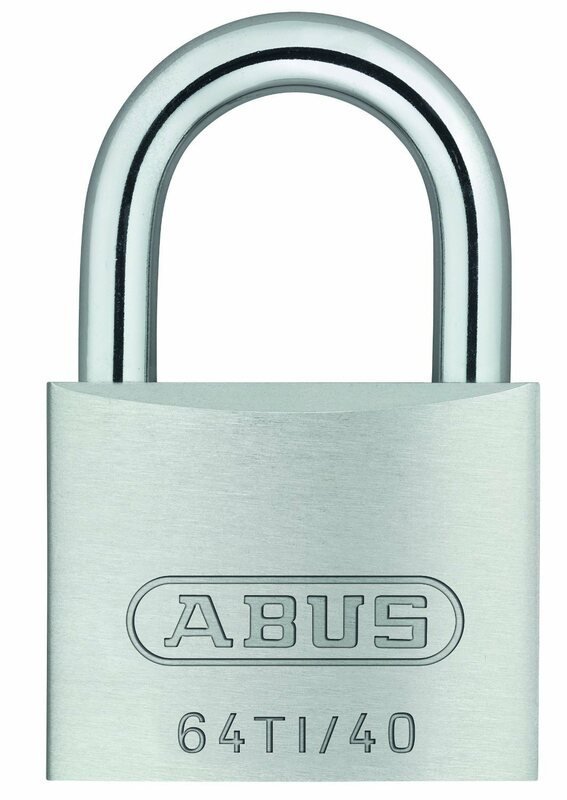 UK Amazon buyers rate this one as a 5 star product and stated that this lock is easy to fit and easy to use. They also said this looks way better than some rusty old lock hanging on your shed door. You can check those reviews by clicking here. Some guys like to go the whole hog and fit a shed bar lock. These work really well for both garages and sheds. Even their appearance puts potential thieves off any idle thoughts they may be having. They are more expen​sive than a standard lock option. For those who want as high a security as they can get, then this should certainly be considered as an option. They come in different sizes: 100 cm, 120 cm, 150 cm, 180 cm and 200 cm. You can also contact the company at Amazon if you need a custom size made for your own garage or shed. Basically you fit a couple of brackets, then place the security bar across them and lock them at the end using a padlock.